Christian rappers Lecrae and Flame are suing pop singer Katy Perry for stealing the beat from their song “Joyful Noise”, a strongly Christian song, and using it in her song “Dark Horse”, a song that glorifies black magic and other kinds of evil. Below is the article from theboombox.com. I’ll follow the with my comments on this story. According to TMZ, they believe Perry, Juicy J, Dr. Luke and Max Martin, who are named in the lawsuit as defendants, stole the 1998 track, presented it as their own and additionally ruined the message of the song by creating a video considered to be sacrilegious by some for its use of witchcraft, idols and black magic. See the full article at theboombox.com here. Here is “Joyful Noise” by Lecrae and Flame. 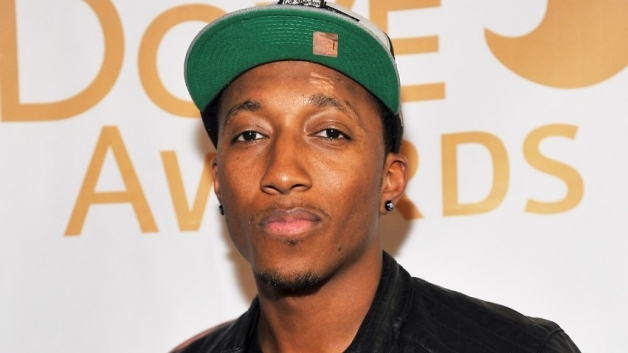 MY COMMENTS – When I listen to Katy Perry’s song I can definitely hear Lecrae’s distinctive beat throughout the song, so I think he has a strong case. Otherwise, my comments are based on my personal opinions about these two very different artists. I’m not a big Rap music fan, but I’m a strong supporter of any Christian artist who uses creative means to share their faith and does so with excellence. From what I hear of Lecrae and Flame, these are two Rappers who fit this category. On the other side of this dispute is an artist who I have a low opinion of for two reasons. First, because she makes overly sexualized music that is being marketed and consumed by young women. Second, Katy Perry has made anti-Christian remarks in the past regarding her Christian upbringing. So, I can’t claim to be unbiased here. But really, who can blame Lecrae and Flame for being a little upset when their song is obviously meant to give glory to God with some of the strongest Christian lyrics I’ve ever heard in a song outside of church (watch the video above and you’ll see what I mean). Not only was their underscore stolen and used in someone else’s song, but it was used in a song that goes the opposite direction, glorifying evil and the powers of Satan. I, for one, would love to see Lecrae and Flame win out here and receive a hefty financial reward in their case. I would also love to see this whole thing have a positive effect on Katy Perry. I hope she’ll see how far from God she actually is and realize the effects she’s having on young kids. I hope she’ll see that she is mis-using the great talent that God has given her and realize that she’s heading the opposite direction away from God, with millions of kids following in her every step. I don’t know about Perry being Satanic — I’m a fantasy writer, and storytelling with magical elements isn’t shocking to me — but the video left a bad taste in my mouth. I do like the beats and music in almost all of Katy’s songs, however, I’m also aware of the perversity going on in them. And I do hope that ‘Dark Horse’ will be brought before a judge to be settled. Yes, Samanthasky09. I’ve heard only a few songs of Katy’s but what I’ve heard tells me she is a very talented song writer and performer. I just wish she would use her giftings to have a good influence on her listeners rather than the negative.